After five difficult years, Nancy and Joe Vericker saw their son restored to health when he overcame his potentially lethal addiction to alcohol and opioids. But first, they had to make an agonizing choice. Read the first page of Nancy McCann Vericker’s story and it becomes clear why it was difficult for her to write. It begins in February 2008 with her then-19-year-old son, J.P. Vericker, being handcuffed by police outside their suburban New York home, high on drugs and ensnared in an addiction that made him desperate and sometimes violent. His hand was broken from punching a wall in a rage the day before. And, just like that, the Verickers were face-to-face with a decision they had seen coming but deeply hoped to avoid. 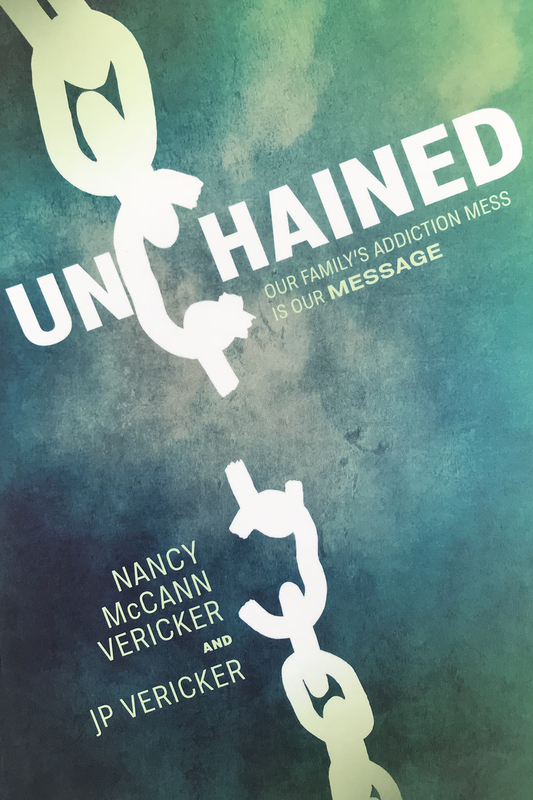 Nancy recounts this story in Unchained: Our Family’s Addiction Mess is Our Message (Clear Faith Publishing, 2018), which she co-authored with J.P., now eight years sober. It relates not only the course of J.P.’s addiction but also its impact on his family, and the spirituality that was a lifeline for both Nancy and her son. “I really did, honestly, feel this sense of calling” in co-authoring the book, says Nancy, a spiritual director and youth minister and a 2009 alumna of Fordham’s Graduate School of Religion and Religious Education. The second-oldest of the Verickers’ four children, J.P. wanted for nothing when he was growing up in their tight-knit family. He was a charming, kind, energetic child known to his mother as her little man, “my Manzo.” When the Verickers brought their adopted daughter, 2-year-old Grace, from China to their Westchester County home, J.P. was the first to quell her tears and make her laugh. Things changed in eighth grade. He struggled in school and felt listless and depressed, and fell in with a partying crowd during his first year of high school. By sophomore year, he was drinking and smoking pot daily. He grew belligerent, cutting class and staying out past his curfew and getting into trouble with the police. Family life moved forward in other ways—the Verickers’ eldest daughter, Annie, was in college and enjoying it; their next-youngest daughter, Molly, was a high-school freshman, making friends and playing field hockey; and Grace was doing well in her new elementary school. But Nancy’s life was mostly consumed with J.P.’s addiction. Grappling with insomnia and worry, she realized he was stealing from her to pay for drugs. Bitter confrontations ensued, and in February 2008, in a rage, J.P. accosted his parents at home because of money he thought he was owed. In order for J.P. to overcome his addiction, he had to suffer its consequences, she and her husband were told by the treatment professionals they consulted. He had to hit bottom, and they had to let him, counter to their every parental instinct. In addition to letting him be arrested, they had to refrain from rescue efforts like providing shelter and meeting his expenses as he continued to use. After J.P. was arrested, his parents got a court order of protection and told him to stay away from the family’s home unless he agreed to seek treatment. Viewing it as a vacation, J.P. agreed to go to a treatment center in south Florida, chosen by his parents because of the wealth of post-treatment options in that area. His story entered a new phase: detoxifications, relapses, halfway houses, flophouses, and homelessness. He struggled toward the realization that he needed help. Today, he has a clear view of his warped thinking from that time. “Being addicted is like having rabies,” he writes in Unchained, which includes first-person accounts by both him and his mother. “To me, in my addicted mind, my life was normal,” and others were to blame for the strife and altercations in his life. Nancy, meanwhile, alternated between hope when he seemed to be recovering and anguish, tears, and sleepless nights when he relapsed. She often didn’t know where he was or what he was doing. And yet, life went on. Family responsibilities beckoned. She gained solace and strength from family, friends, and community, but also from her degree program at Fordham. A former journalist, Nancy Vericker first enrolled at Fordham at the suggestion of her spiritual director during a time when she was tending to the children at home, doing occasional volunteer work, and spiritually searching. She spent more than a decade earning a master’s degree, and the studies would help pull her through difficult times—in part, because of the Ignatian teachings in the curriculum. “There was this thing that was oppressively suffocating the life out of me and my family, and Ignatian spirituality helped me push back,” she says. In keeping with the Ignatian view of the soul as a battleground, she fought against feelings of desolation—depression, fear, anxiety—by finding consolation in the joys of family life and moments of grace, holding on to those as a way of building generosity of heart and fueling hope. “Ignatian spirituality saved me in many ways,” she says. What also helped her were the relationships built up during the program. 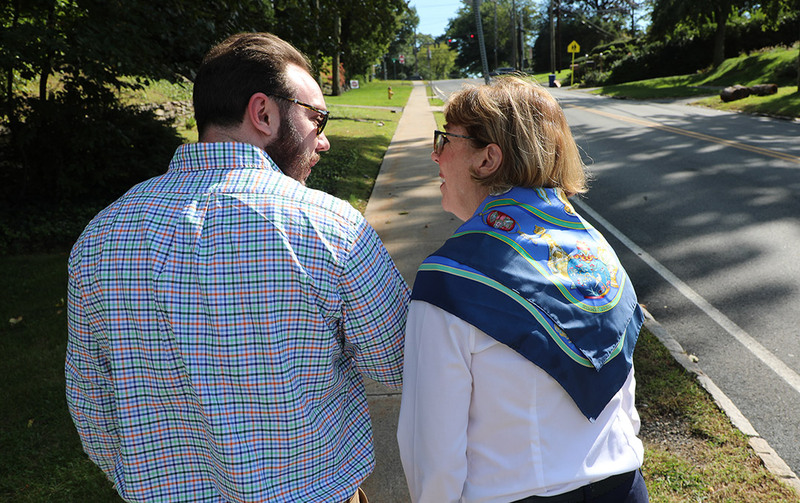 When J.P. was homeless, she considered quitting, but she persisted with encouragement from a classmate, Mark Mossa, S.J., who went on to become campus ministry director at Spring Hill College in Alabama. And she became close to Janet Ruffing, R.S.M., then head of the spiritual direction program. When graduation day came for Nancy, she decided to instead go to her daughter Grace’s First Communion, which fell on the same day. It was a powerful gesture, Nancy says, because she was in despair at the time. She had her doubts that J.P. would survive. Refusing him help was painful. During one Christmas season, J.P. was calling home over and over from Florida, saying he was homeless and hungry, asking for money. “You cannot under any circumstances send him money,” J.P.’s treatment program director said. He told the story of a woman who, faced with a similar plea, wired money to her addict son, who then spent it on drugs and died of an overdose. J.P.’s recovery began in a low moment, just after he had been jailed in Florida. “I was fearful for my life if I went on using,” he writes. He surrendered his false pride, his sense that “I knew all the answers,” and reentered treatment and joined a 12-step program. For many addicts, he says, recovery is like dragging rocks in the beginning because they’re physically wrecked, their lives are in ruins, and drugs offer instant relief from the physical agonies of withdrawal. “Their mind is under the impression that they need [drugs]to survive,” he says. He overcame these obstacles through meditation, help from a support network, and prayer—a crucial defense in the moments when his addiction was banging at the door. The spirituality of his Catholic upbringing helped him stay centered and clean as he earned a GED diploma and a bachelor’s degree in addiction studies, and enrolled in an M.B.A. program. In his mother, he had someone who could relate to his struggle; nearly three decades ago, she had to overcome her own addiction to alcohol. Today, as a board-certified substance abuse counselor and co-founder of the outpatient Northeast Addictions Treatment Center in Quincy, Massachusetts, J.P. spends his days overseeing the center’s operation and counseling people addicted to opioids that are far more deadly than the drugs he was using. And, since the publication of Unchained, he has joined his mother in spreading the book’s message of hope and recovery and trying to reduce the stigma addicts face. 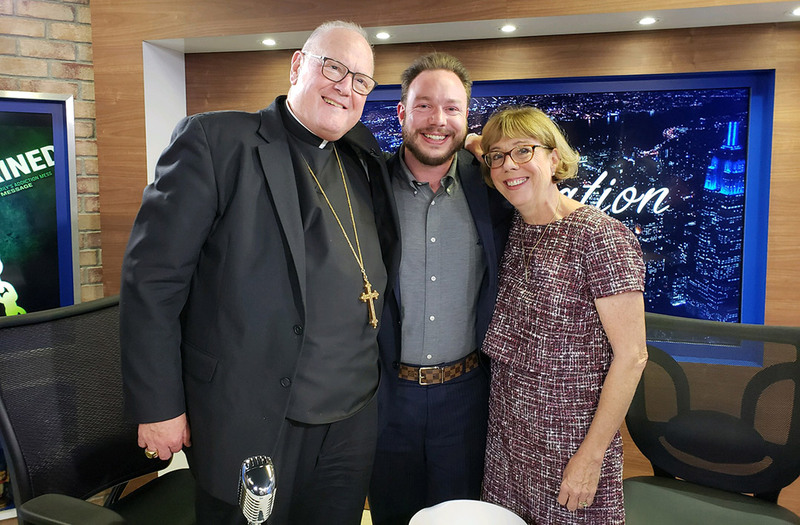 They shared that message on NBC’s Today show and on the SiriuxXM radio/television show Conversation with Cardinal Dolan, among other programs. Their story has spread through word-of-mouth, and some mothers have contacted her to say “I felt like I was reading my own story,” Nancy says.